The most suitable truck for every application thanks to sound engineering, great manoeuvrability and a range that is unparalleled. The Iveco Eurocargo was named International Truck of the year 2016 thanks to the greatest contribution to road transport efficiency based on technical innovation, comfort, safety, drivability, fuel economy, environmental footprint and total cost of ownership. 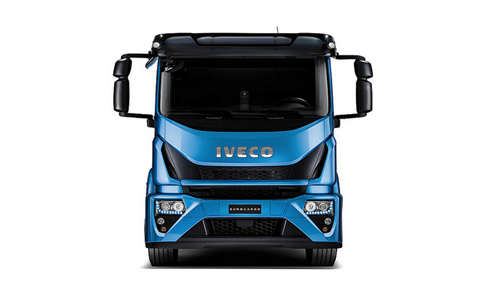 The Iveco Eurocargo has two engine size options offering six different power output. All engines are available with Iveco’s unique SCR only technology. It has eight gross vehicle weight options from 7.5t to 18t and eight wheelbase options to suit all applications and has four different cab configurations. The cab interior is a multi-functional office on the move with its central console pre-configured to integrate with smartphones, tablets and GPS-based navigation systems, as well as advanced telematics solutions which are managed by the Drivelinc central touchscreen display that offers a user-friendly interface for messaging, fleet management and driving-style support measures. 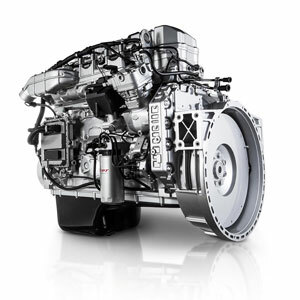 The Iveco ‘Tector’ engines are available in the unique SCR Only solution at 4.5 Litres and 7 Litres depending on mission. Thanks to the common rail turbo charged ‘Tector’ engines we offer class leading fuel consumption. 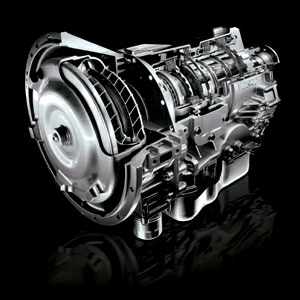 As standard the EuroCargo comes with the ZF Automated transmission. However, on selected models we can also offer a 6 speed manual, 9 speed manual, 12 speed automated and the Allison fully automatic gearbox. 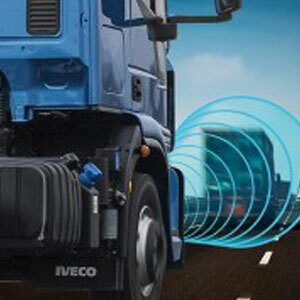 Iveco takes safety very seriously and EuroCargo is the champion of visibility, a benefit emphasised by the size of the windscreen and the side windows. In addition to this all vehicles are fitted with Lane Departure Warning System and on selected models Advanced Emergency Braking System. 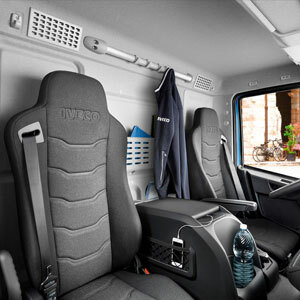 The new EuroCargo cab is designed to be comfortable for the driver and also have to hand all the things a driver would require. The driver’s seat is fully adjustable as is the steering column and additional USB ports have been included to allow the Driver to connect all his latest technology.